In this article, the Expert Witness Exchange discusses expert witness employment opportunities for CVAs and how to get noticed by attorneys. As a Certified Valuation Analyst (CVA), there is a vast array of employment opportunities you can pursue. One area that may not be as obvious is the ability to play a crucial role in our legal system. The knowledge and expertise that CVAs have to offer is incredibly important and frequently sought after by attorneys across the country. However, most attorneys are not looking for any random CVA. What they are look for are CVAs who are willing to serve as expert witnesses on cases. Working on a case as an expert witness may not be something that has ever crossed your mind, but it is certainly an option that CVAs should take into consideration. There are a number of benefits that can come from appearing as an expert witness for a case; some more obvious than others. 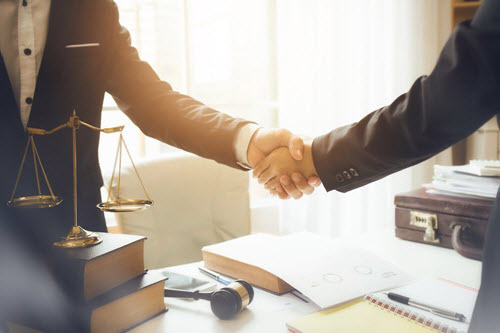 One of the leading incentives for many individuals who serve as expert witnesses is the ability to help our legal system by utilizing their expertise. The general purpose of an expert witness in the courts is to offer their opinion on certain facts of the case in a way that a non-expert can comprehend. If it were not for expert witnesses, it would be much harder for the courts to offer well informed judgements on a variety of different cases. The knowledge and skills that CVAs possess are no exception to this as they often enlighten the courts based on their interpretations of the facts. The ability to deal with the unexpected is a key part of performing well as an expert witness and a challenge that many CVAs enjoy. As an expert witness, there is a vast opportunity due to the constant need of this role in a case. CVAs can apply a professional approach regarding valuation matters. The legal system relies heavily on expert testimony for a wide range of subjects which is why the skills and knowledge you have already acquired will be beneficial to one’s case, and open up a magnitude of opportunities for professional development. There are many other benefits that come with being an expert witness but the last one we will mention in this article is the monetary incentive. The time commitment required by expert witnesses varies from case to case and is heavily impacted by exactly what role you are asked to perform by the hiring attorney. Some attorneys are only looking for a case review and opinion, while others are looking for an expert to testify during trial which would typically require a lot more time from the expert. In any case, expert witnesses are paid for their time unless they agree to help on the case pro bono. The rates expert witnesses charge can also vary widely depending on several factors such as experience, specialization, and location. Working as an expert witness is not something that people typically do as a “career”, rather, it is a way to aid our legal system and get paid for your time. If you want to learn more about what an expert witness is and what they do, feel free to visit www.expertwitnessexchange.com where you will be able to find answers to those questions as well as many other FAQs. You are also welcome to contact support@expertwitnessexchange.com if you have further questions that were not addressed in our FAQs or would simply prefer to talk with a team member of the Exchange. Micah Hardy is a student at the University of Connecticut and has worked for Expert Witness Exchange for over a year. He is graduating spring of 2019 and plans to attend law school fall of the same year. Mr. Hardy can be contacted at (860) 206-5012 or by e-mail to mhardy@connecticutinjuryhelp.com.